Many people want Best Karaoke Songs for recording karaoke cover songs or for live karaoke performance. But many times they do not get free karaoke songs on the Internet which they may want. So here, a method for making free karaoke music is provided for all of them who just want to know, how to make a karaoke version of any MP3 song file which they have in their computer. For doing this, you have to follow the given steps and you can also watch the given video below. Make Your Professional Karaoke Songs Now! So first of all, you have to install Free Karaoke Music Making Software Audacity in your computer which you can download free from Internet (or by Clicking Here) and you have to just install it like any other software. After installing, you have to open Free Audacity software as shown in the video (given above). Then import your audio mp3 file (that mean the song which you want to convert into karaoke song) into the software. After that you have to select full waveform. Go to Audacity-effects and click “Vocal Remover”. Now you can select pop-up menu options as per your requirement. But I recommend that if you are a beginner and you do not know a lot about audio editing then and you should leave it as it is. Now just simply press enter and yes!! Your free karaoke song is ready! A lot of people ask me that they are not getting the quality as good karaoke songs from this karaoke music making method. I just want to say that karaoke making method actually depends on what type and what kind of song you are using for making karaoke. Because karaoke making process is a technical process. It happens by converting the stereo track into a mono track with subtracting the common parts on the both left and right ear. Why can’t you sometimes make clear and good karaoke songs? Sometimes your song is in mono mix (it mean that you are listening the same music or sound in the both ears all the time). Then you cannot make a karaoke mp3 of it. By converting it into karaoke song, all sound will be lost. Again, if your song has a lot of reverb or other delaying stereo effects, then also you cannot make a good karaoke song. So actually this is not possible technically. So please do not blame the method which I am telling you. Because any software in the world which is used for removing vocals from an existing MP3 using the method, can never make a perfect 100% real and clear karaoke! So you just follow the above given method and if you are not able to get the required quality then you can tweak the parameters in the “Vocal Remover Popup”. Which is the Best Method for Making Best Karaoke Songs? Even then, you are not getting the required quality for your karaoke party? Then the best method to make good karaoke songs is by composing your own background music. I know that, it is too much difficult learn professional audio production. But if you know how to compose your music then you can never be dependent on others. You can compose a song whichever you want and you will also add your own melodies as your requirements. So I hope you liked this article on how to make a karaoke song from an MP3. If you still have any doubts then you can write in the comments below. You can also share it on your social networking profiles like Facebook and Twitter. If you want to record your vocals in professional without spending money on Audio Interface, then you may consider the following USB Microphone in Less Budget! 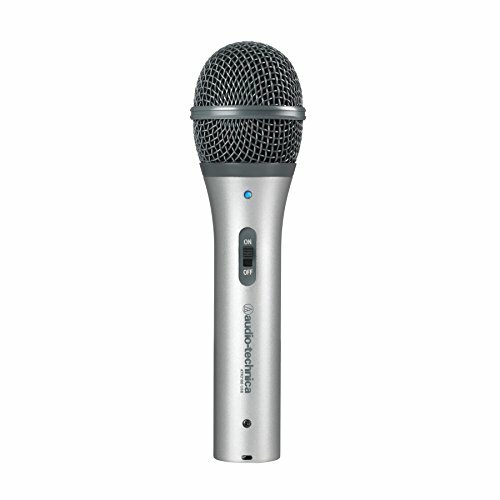 MeraGana WONDER Digital Karaoke (Sing along) Mixer Microphone with inbuilt digital mixer, echo controller and volume control for vocals. No Chip and Unlimited Songs, NO ASSEMBLY REQUIRED – Simple Plug in & Sing Karaoke Microphone for laptop/personal computer, iPAD/tablet, iPhone/smart phone or TV. Simply connect the microphone between your device & your speaker and you can enjoy singing along with the selected songs Karaoke Microphone includes digital echo controller which adds richness to your voice like a professional sound performance on stage. 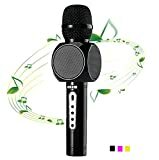 It has Inbuilt Digital Mixer (so external mixer is not required) It has Volume Control for Music and Vocal separately by which you can control your voice and the Background Music This is The NEW Generation Karaoke Microphone. 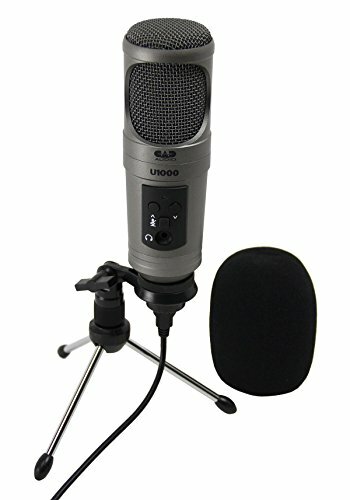 (A free Microphone Wind Screen/Guard/Cover worth Rs. 499/- is given with the microphone). Enem Karaoke machine Player is a great choice for singing / karaoke fun anywhere. With it, you can sing and record your singing at home and party. You can connect with your phone with cable or Bluetooth. Simply turn on any karaoke app on your phone or on your computer (many free apps available on app store) and it will produce excellent sound quality with echo reverberation. It is a great gift karaoke machine for kids for adults. – Noise cancellation function wireless capacity microphone, you can enjoy singing wonderful music by yourself. – Can be used for indoor and outdoor which is suitable for picnic trips, party, family entertainment, singing karaoke, public place ,etc. – Works with all Bluetooth-enabled devices as well as devices with a 3.5mm audio socket (standard headphone jack) – All iPhones, iPod, and iPads; – All MP3 players, CD players, desktops, laptops, tablets, and other music devices with an audio socket – Android smartphone: HTC, Samsung, Sony, Nokia, LG, Huawei, Blackberry, etc. Remarkable Echo Effect : We used the highest quality chipset with two channel stereo headphones, it produces a more stunning live-sound and more clear music rhythm with echo reverberation. Bluetooth 4.0 Technology: Compatible with all Bluetooth-enabled devices. Instantly connect to your smartphone or tablet from up to 20 feet away. High-capacity, longer life: with a 2200mAh battery gives you hours of fun, which should be more than enough for you and friends to enjoy yourself. Removable battery designed for quick and easy replacement. Multifunction: Bluetooth speaker, Karaoke singing, Car Stereo, Family singing, Travel singing,instrument recording, interviews, podcasting etc. Also,it’s a Unique Gift for your Friends or Family. How about a surprise Karaoke evening with friends? Too lazy to head out? Well, Karaoke Magic Sing ET- 25 K is the key solution. All you need is a TV to connect to and you are good to go for a musical evening. This Karaoke microphone has all the controls of volume, echo, tempo and even the countdown timer, so just sit, dance, stand, run and JUST sing. This microphone is very easy to set up and is compatible with any TV. This Magic device comes with 3806 inbuilt songs with a collection of 1509 Hindi + 2001 English +198 Marathi and 98 Punjabi songs. Have a party with cultural diversity and just create the sense of unity amongst your friends. The songs are easy to read and with a progress bar to keep you on-track. You can see LIVE scoring, set the timers and even add many more songs with additional music chip. You can search the songs on screen or refer to the hand book in which the songs are arranged in an alphabetical order. This was for the music lovers, for the gamers, you will also get 6 games along with this Magic Sing kit. So just prepare for some nacho and dips and invite your friends over to a Karaoke evening with this magic karaoke microphone and for a duet, you can attach a wireless microphone too. Just link it to your TV and rest will be taken care of ‘magically’.